Brethren of Esperenze Lodge 317 receiving their New Jersey charter on June 27, 2018. The lodge has actually been in existence for more than 40 years. If you look through the archives of your own grand lodge, you will likely find a handful of lodges chartered by your jurisdiction way back when that worked in different languages, especially in the 1800s and early 1900s. While they were technically following your state's approved ritual, these lodges performed theirs in the native language their members were most comfortable with. German was by far the most common, but there were noteworthy Italian- and French-speaking U.S. lodges as well. Pennsylvania, New York, and Washington D.C. still have several of these today. D.C. especially has quite a number of chartered 'cosmopolitan lodges' that often serve foreign-born Masons temporarily living in that city in connection with government, lobbying or embassy jobs. Many others like Massachusetts, Florida, and California also have foreign language lodges. Those are properly chartered lodges under those mainstream jurisdictions. But there's a relatively recent and growing wrinkle in the realm of 'clandestine' lodges and Masons. 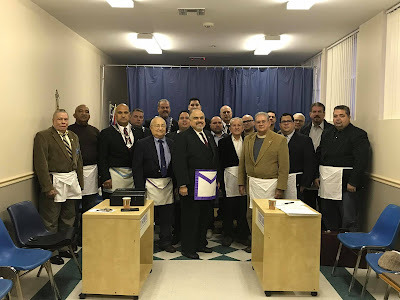 With the influx of more foreign born immigrants into America's large urban centers, there are a growing number of independent lodges made up of Cuban, Central and South American, Filipino, or other foreign-born Masons who have been ignored (or even shunned) by mainstream Masonry in this country. To answer their desire to become Masons — or to attend lodges that work in their native languages from back home — more 'clandestine' lodges spring up every day that cater to them specifically. Some have been connected with legitimate foreign grand lodges which have invaded U.S. jurisdictional claims by chartering lodges here. But a large number of them are independent, self-created lodges. And more than a few have been around for a very long time, operating off of the radar screens of our grand lodges. MW Roger Quintana, the current Grand Master of the Grand Lodge of New Jersey seems to have taken the bull by the horns in his jurisdiction. New Jersey being a densely populated state and just across the border from New York, there are scores of clandestine Masonic lodges sprinkled throughout that jurisdiction. Instead of going on the attack against them, or ignoring them altogether, the Grand Lodge of New Jersey is trying a different approach. Portuguese-speaking Brazilian Masons in New Jersey have been hunting a legitimate lodge to join, and so the Grand Lodge is reaching out to find new ways to bring them under the umbrella of proper recognition and regularity. 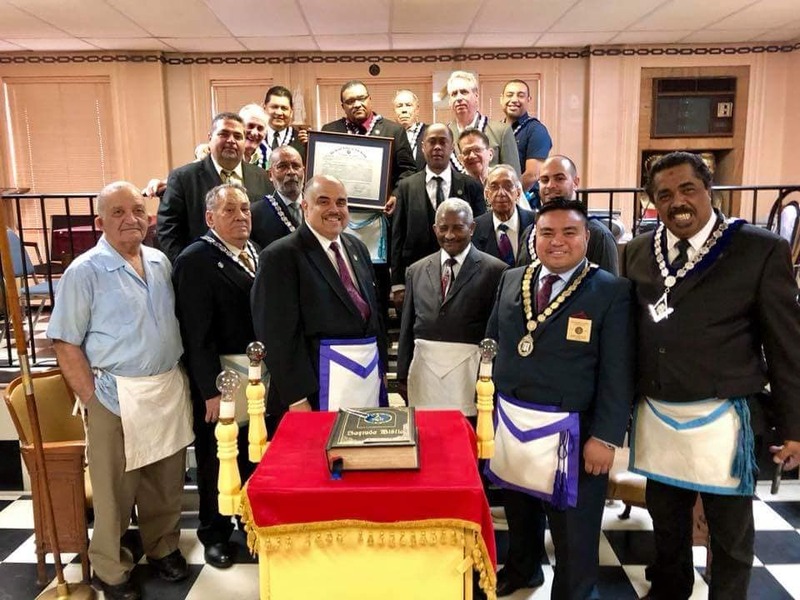 In 2018, the Grand Lodge of New Jersey has announced the transformations of formerly clandestine Esperanza Lodge 317 in Union City and Perucho Figueredo Lodge 370 in Elizabeth into fully chartered and regular, recognized ones under the Grand Lodge of New Jersey. Further, New Jersey has just received applications to do this from another independent clandestine lodge, Solomon Lodge. According to MW Quintana's letter (see below), their members will be re-obligated at a special One Day Class, and the formerly clandestine lodge will be consecrated with a proper charter from the GL of New Jersey. I'm told that the Grand Lodge of Arizona has a standard ritual in Spanish, and a handful of other states may also have their own in various languages as well. This is no longer a situation peculiar to just the coastal states and cities, or to southern border states. For the rest of us across the U.S. who find ourselves with growing foreign-born populations and communities in our various states, it is downright foolish and short-sighted to ignore this vast and growing population. And this is not even remotely just a big city issue. Look at these startling statistics. Newly released Census Bureau data for 2017 shows nearly half (48.2 percent) of residents in America's five largest cities now speak a language other than English at home. Overall, the number of U.S. residents speaking a foreign language at home reached a record of nearly 67 million. The total number is up seven million since 2010 and has increased by nearly 35 million since 1990. In America's five largest cities, 48 percent of residents now speak a language other than English at home. In New York City and Houston it is 49 percent; in Los Angeles it is 59 percent; in Chicago it is 36 percent; and in Phoenix it is 38 percent. Consider that there are sixteen lodges today in New York's 10th Manhattan District, and they grew out of the enormous immigrant populations that came to America and settled in the New York City area. The Tenth Manhattan is home to lodges permitted to work Craft degrees in French, Italian, and Spanish, and more, which differ—often substantially—from the traditional Preston-Webb rituals you find in almost every other state in the U.S. (with the notable exception of Pennsylvania's). 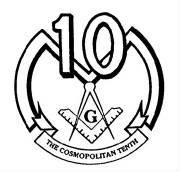 It's not for nothing that this group of lodges refers to themselves as the 'Cosmopolitan Tenth,' which is how you'll find them on Facebook these days. Now, New Jersey has just established its own similar 6th District specifically geared to working with their newly christened foreign language and 'cosmopolitan' lodges in order to conform their sometimes very different rituals with current New Jersey practices. This is a not a new idea, and by no means is it any sort of Earth-shattering innovation. A French-speaking New York lodge was asked to be the first lodge leading George Washington's funeral procession at Mount Vernon in 1799. Foreign language lodges were common a century and a half ago throughout America, and there's no reason why they shouldn't be again. Think of it a different way: Freemasonry is actually growing and thriving in Central and South American nations, where the bulk of our current immigration wave originates. Untold numbers of men join Masonic lodges in these Spanish- or Portuguese-speaking nations, only to find no lodges in which they feel comfortable or at home once in the U.S. Their only recourse is to establish or join a clandestine lodge, knuckle under and become proficient in English, or not attend at all. In other words, these are existing Freemasons living in our midst whom we are simply ignoring. It's long past time to be chartering new lodges in our jurisdictions that are permitted to work our official rituals (or at least close to them), just in a different language. Almost twenty years ago when faced with Masonic temples that were searching for rental possibilities, I suggested that lodges should be offering their dining room facilities for use by language tutors and schools to teach immigrants English, and/or Americans Spanish. It was clear then that there was already a growing need for such classes, and I suggested it as a new way to highlight the importance of Masonic halls in our communities once again. At that time, immigration wasn't really on many people's radar, and no one took it seriously. As the statistics above show, it's long past time to take it seriously now. While Masons haven't been paying attention, America has changed dramatically. Instead of decrying it or hiding from it as our membership continues to plummet, we need to see it as an opportunity to once again adapt to serve the society in which we reside - just as Freemasonry has always done in the past. Improving the world one Mason at a time is still our mission, no matter how our communities may change around us. Let's find a way to accommodate this upheaval in demographics instead of burying our collective heads in the sand. The Grand Lodge of Massachusetts has Logia America (1995) in Cambridge that is Spanish speaking and the Independence Lodge (2010) in Melrose that is Portuguese speaking. Both are very active Lodges. The Grand Lodge of Illinois and MWGM Scrogin in 1918 declared that all work must be done in English. This was a direct result of the United States being in WWI against the Germans. 9 German speaking lodges in Chicago were directed to conduct work only in English or risk being shut down. Delmar Darrah's belief that foreign language lodges would subdivide American Freemasonry into different classes of brethren and isolate them from each other is probably the first argument that such an idea would cause today, as well. It's one of those 'both sides' issues that I could compellingly argue either way. I suppose my only rejoinder would be to examine other jurisdictions with foreign-speaking lodges and see just how much or how little interaction such members have with the wider Masonic population in their states, and determine whether it was less, more or unchanged from the majority. I attended an enormous gathering last year in California of Filipino Freemasons throughout the western states and the Philippines itself. While the overwhelming majority of attendees were ethnically Filipino, it was a unique celebration of that culture and their traditions that wouldn't have otherwise taken place without the commonality of Freemasonry. So, I see that as a plus. Interestingly, the last holdout in Illinois as a German speaking lodge was called Leasing Lodge. Over the border here in Indiana, the last known lodge in this state that still worked in German right up into the 1970s was called Lessing Lodge. I'm curious if it's a coincidence, or just a difference in spelling. In Wisconsin there remains one German speaking lodge. One of the few remaining reminders of Wisconsin's German past. But of course, the de-Germanization started before the Great War. They use a different ritual than the rest of the WIGL, and is very interesting to witness. New York too has a Lessing Lodge. Don't know its history, but it is part of the Ninth Manhattan District, which partly is comprised of historically ethnically German lodges. Gotthold Lessing was a Mason. Shoulda just googled it in the first place. Jay, thanks for finding this. There are at least two grand lodges in Mexico City using the name Valley of Mexico and having a history of implanting American lodges. The best known is next to a university named Valley of Mexico with some Masonic connections in the past. The California grand lodge has had difficulties with that Mexican grand lodge and the Baja California grand lodge over territory invasions. The second Valley of Mexico grand lodge is about four blocks away and displays memorabilia about its lodges in Brooklyn, and had associations with the Cardenista political movement. That grand lodge also hosts another grand lodge, the Primitive Rite. I love Masonry. Please include me in your mailing list, thanks. Over here on the other side of the duckpond (France) we have numerous foreign language Lodges, meaning labouring in a language other than French. My Lodge (Pilgrim) is part of the Grande Loge de l'Alliance Maçonnique Française and we labour under a unique form of the A&ASR in English. I know of at least 2 other English speaking Lodges, 2 Spanish, 1 Portugese and several German. It all adds to the richness of French Freemasonry. In London the Pilgrim Lodge N) 238 of the UGLE was constituted in 1779 under its original name of Pilger. It labours under the Schröder ritual in German. during both world wars the Lodge was closed down but was reponed immediately after on both occasions. Today it forms part of Anglo-Foreign Lodges Association, a group of 10 lodges speaking a variety of languages. Who Wants Books About the Masons Anyway? Who Would Want An Old Masonic Lodge? So This Is Sixty, Is It?